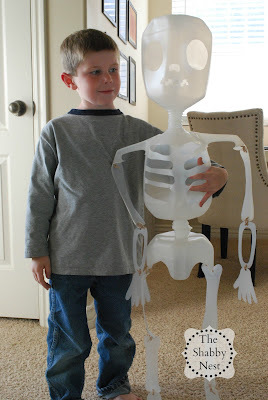 Last year, the kiddos and I ran across this Halloween project from Family Fun Magazine that they reeeaaalllly wanted to make: Mr. 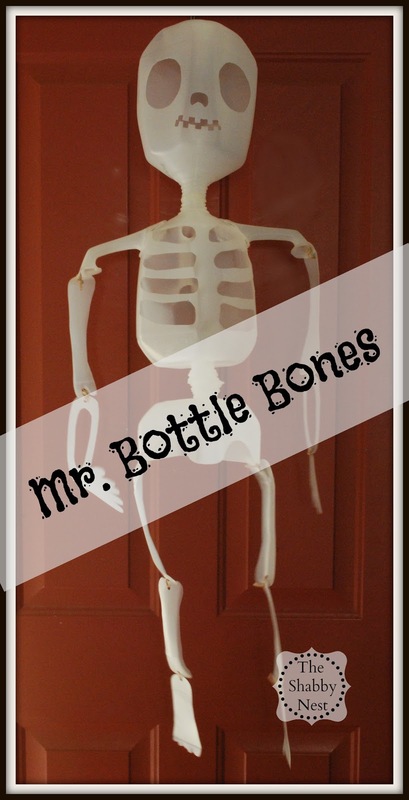 Bottle Bones. 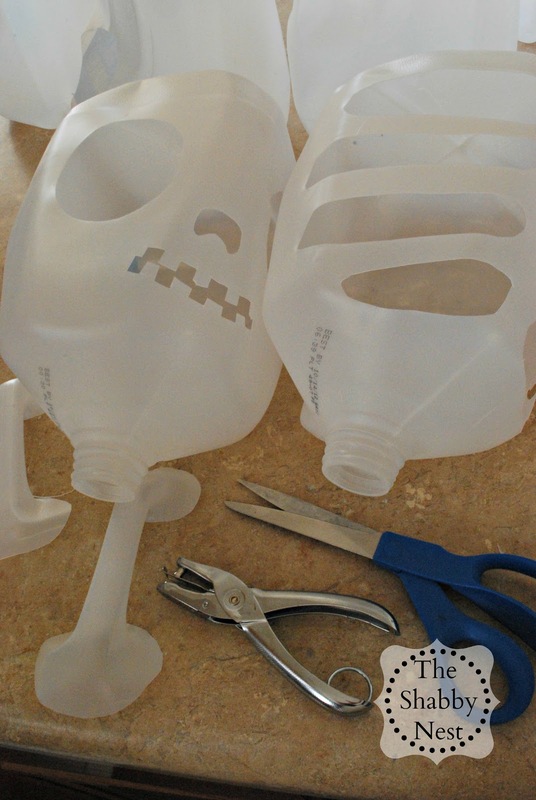 Thing is, it takes 8 gallon-size plastic milk bottles to make, and it was too close to Halloween to save up that many. So this year, I started saving milk bottles in September, and we finally had enough a few days ago. After cutting and hot gluing for over an hour, Mr. Bottle Bones finally came together. I put him on the front door just long enough to get that top photo, and then the kids wanted to play with him. Boy #3 is especially fond of him - perhaps because they are the same height. Lol! It's not too late to make a Mr. 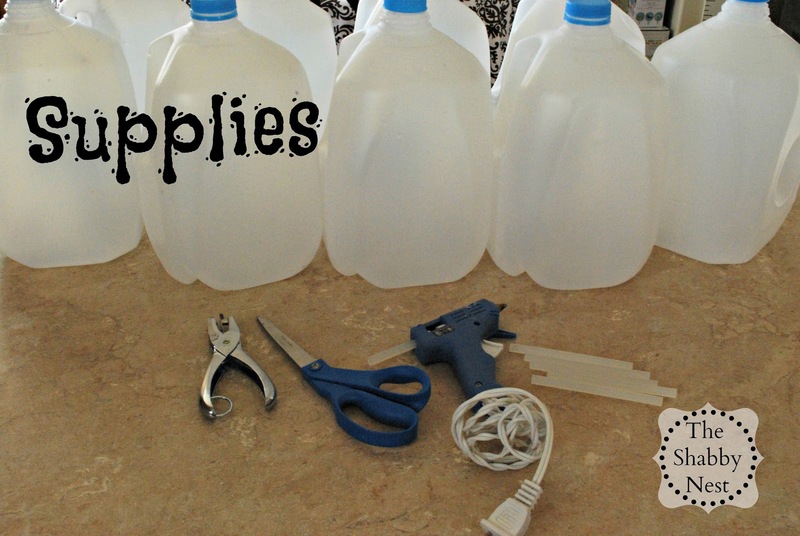 Bottle Bones of your own - that is, if your family are big milk drinkers- ha! But, if they're not, you might want to file this idea for next year. It's a fun one! This is so cute and I can see why the kids would love to make something like this!